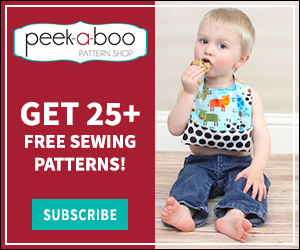 How to Hem Jeans - Peek-a-Boo Pages - Patterns, Fabric & More! Are your jeans as sad looking as mine were? For some odd reason I bought these thinking a long fit great- not so. After I finally accepted that, I would roll them up- really cute I know. Then my poor little cuff started to give out. Time to hem. Today, I’m going to show you how to hem jeans. Surprisingly, it is easy and it looks great! don’t worry jeans- help is on the way! 1. Decide how much shorter you want your jeans- I wanted to take off 2″. Cut that amount in half. 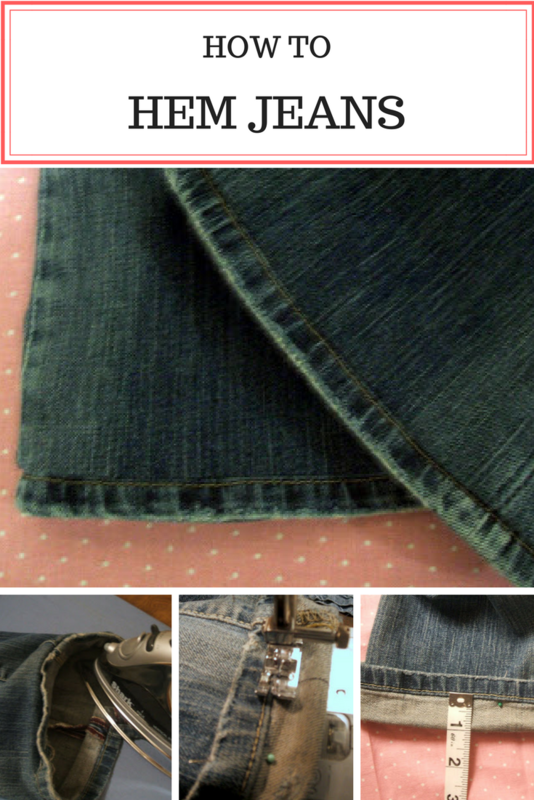 Cuff your jeans and measure from the bottom to the original hem and pin in place. Make sure you measure all the way around so it stays even. 2. Sew around your cuff right next to the original hem edge. You might need to use a denim needle. 3. If you didn’t take off much you can just iron it upwards into the pant leg. Or… you could cut it off- I’d use pinking shears to cut down on fraying. 4. Flip your pants over and iron down the other side. ***If you don’t want to iron these everytime they come out of the wash I would use some fusible web to keep the hem where it belongs. I didn’t have any on hand, so I skipped that step- you can always go back and do it later. I just tried this on my son’s jeans. It worked great. I used the steam a seam before I cut off the excess. It works great but since there are two layers on the inside I trimmed the top layer close with pinking shears and used steam a seam for the other layer. My son was thrilled with the results. Thanks! Suggestion: If you don’t have fusible web, simply place the hem the way you want it (with the extra fabric going up into the pant). 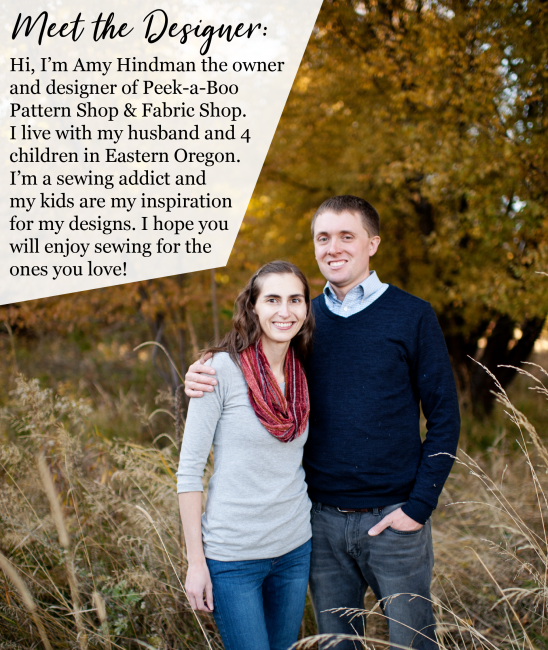 With the right side up, stitch in a ditch along the seam you just made. It catches the fabric on the interior and forces it to stay up! Can’t believe I haven’t thought of that. It’s one of those “should be obvious–but it wasn’t–and I’m so glad someone else pointed it out to me” kinds of epiphanies!! Thanks so much!!! I’m getting my machine out tomorrow!!! I was just thinking to myself that I wished I knew how to hem jeans without making them look totally obviously altered. oh, i have TWO pairs of great jeans that i bought at a great price this summer that need hemmed…will do that today. thanks. That is genius!! Because you can never get it to look original if you just cut the hem off and redo it~but this looks like it was always that way. VERY cool!